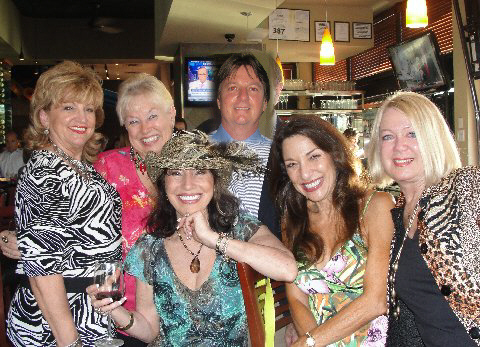 In an effort to support our community, and a shameless quest for upscale appetizers, my friends and I attended a benefit event at new local restaurant. 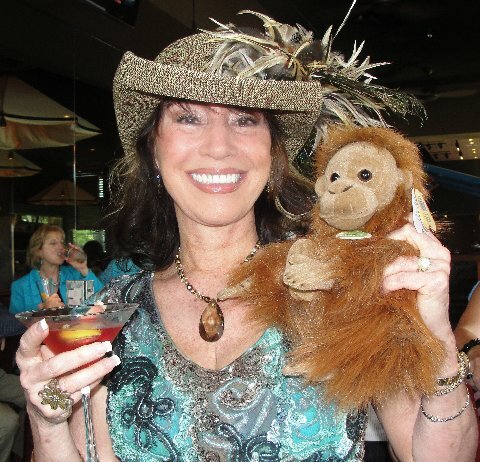 It was a “Zooshi” cocktail party – inasmuch as the restaurant features an award-winning sushi menu and the ticket costs would be donated to our local zoo. I wore a straw hat –but not just an ordinary one. I used several “hat tricks” to create a unique look. I rolled up both sides and tacked them. I then took a beautiful feathered clip and easily slid it into one side of the hat so that the feathers burst out in the front and back. My outfit was casual; a long straight skirt and a colorful top (colors complimented by the feathers) and my signature high heels – this time in an animal print. I felt absolutely “zoolicious”. Several guests complimented me immediately and one gentleman asked to have his picture taken with “anyone who would wear a beautiful hat like that”. 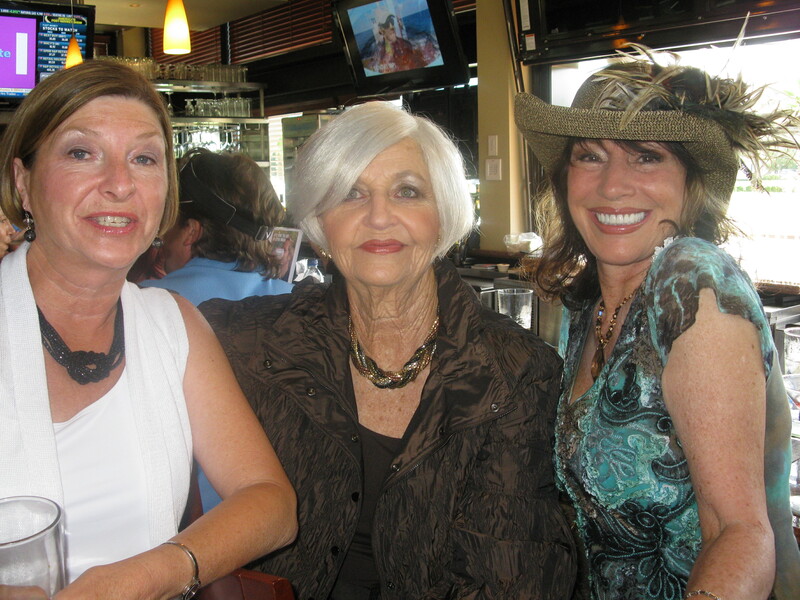 But my spotlight was somewhat shifted toward my friend Barbara. She was wearing a gorgeous jacket which screamed “pure elegance”. Of course, Barbara always looks fabulous – no doubt because she represents a very upscale national clothing line and has exquisite taste in all things fashion! After much mingling and chatting – and several Cosmopolitans – I finally made my way to the appetizer station. Well, I’m guessing that they fed the animals first because it was “NO ZOOSHI FOR YOU” by the time I got there. Nonetheless, the evening was a success. The zoo coffers are fuller and there were lots of hat questions and compliments and new friendships to pursue. I hope you are enjoying my hat adventures so far because – believe me – I’m just getting started. 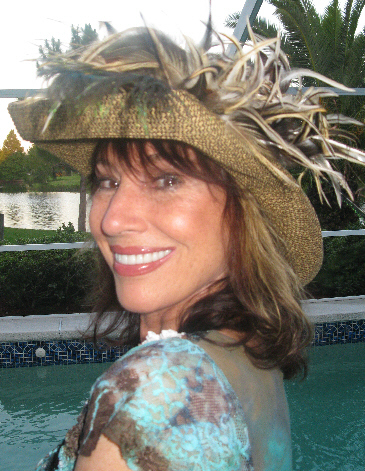 I have many hats to show, stories to share and many tips on how to wear, accessorize and enjoy your hats! Hey Patricia, Its, Jason from La Femme. Your work is amazing! Cant wait to see the pics from last weekend.